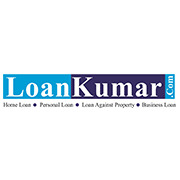 Loan Kumar is a topmost, fastest and extremely beneficial website. We are proving the best Personal Loan in Delhi NCR to our customers. Along with it, we deal in multiple loan options such as home loan, business loan, loan against property, etc. Our main aim is to provide the best service with a reasonable interest rate so that the customer is satisfied. We are working tirelessly to ensure that customers are happy and content due to our efforts.